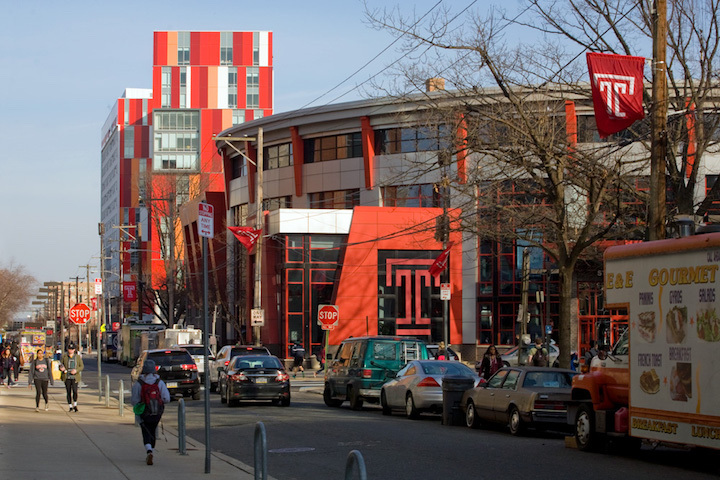 Temple University is one of the most frequently searched colleges in the United States, according to a recent internet keyword search of American universities. Temple is a public research university whose main campus is located in Philadelphia, Pennsylvania. However, Temple also has five other local campuses, as well as two international campuses (in Japan and Rome). Established in 1884, Temple currently serves the educational needs of roughly 40,000 students each semester. The university offers undergraduate degrees, graduate degrees, and professional certificate programs, and also has a law college and a medical school. 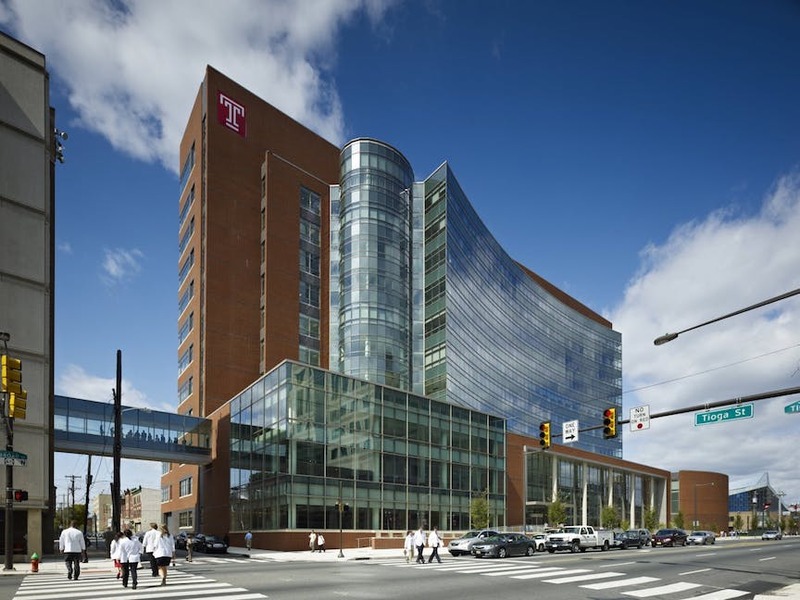 In fact, Temple is one of the world's largest providers of professional education, as it maintains schools for architecture, dentistry, pharmacy, podiatry, law, and medicine, all at the same university. 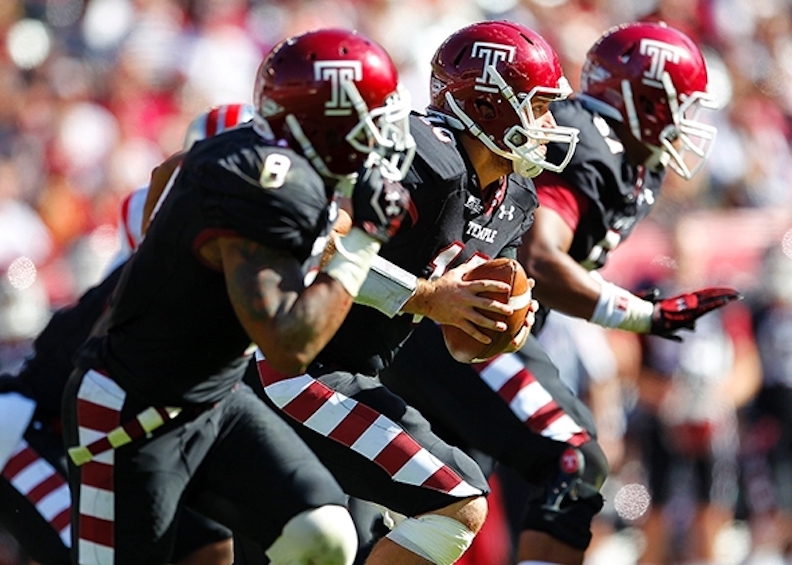 On a national level, Temple is ranked #115 overall by the U.S. News and World Report. The acceptance rate for Temple is roughly 56%. The average student faculty ratio is about 15 to 1. As for notable graduates, Temple has so many that Wikipedia has an entire page devoted to it. Temple is accredited by the Middle States Commission on Higher Education. 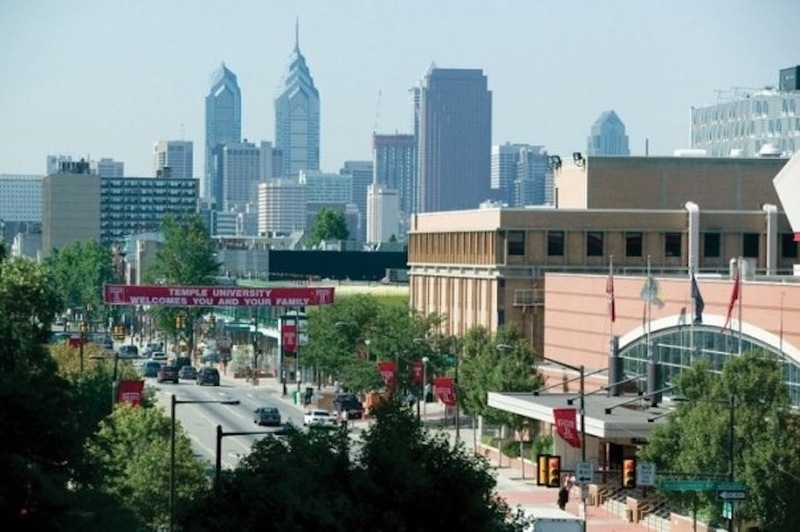 Here are the answers to some of the most frequently asked questions about Temple University. 1. Where is Temple University? Temple is conveniently based in the city of Philadelphia. 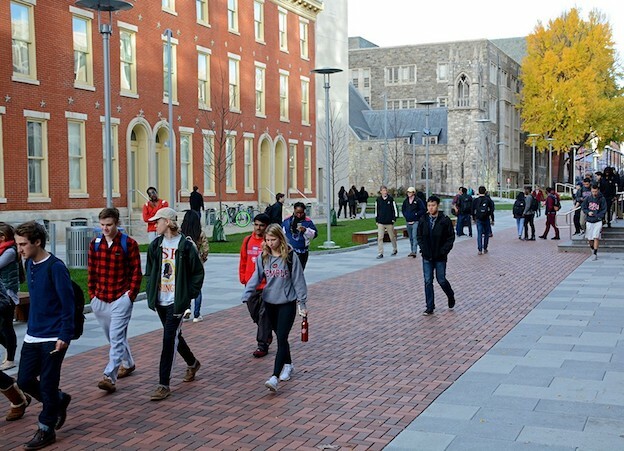 Above: Students traverse a brick walkway on the Temple University campus. 2. 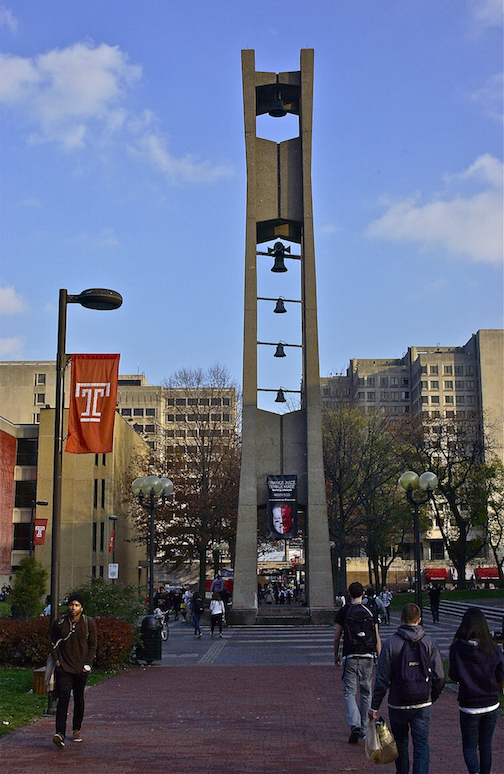 What is the organizational structure of Temple University? 3. What undergraduate studies are offered at Temple University? Undergraduate course offerings at Temple cover a wide range of topics. 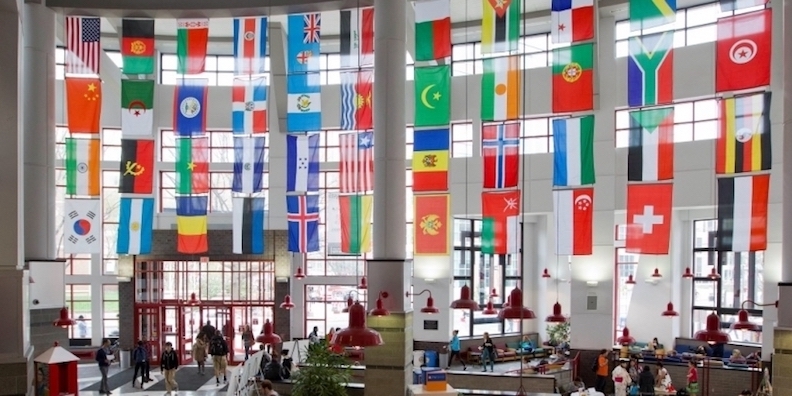 Above: Inside the student center at Temple, where international flags are on proud display. 4. What graduate programs are available at Temple University? Click here to see a Complete List of PhD Programs at Temple, including professional programs in medicine and law. Above: The Educational and Biomedical Research building at Temple. 5. 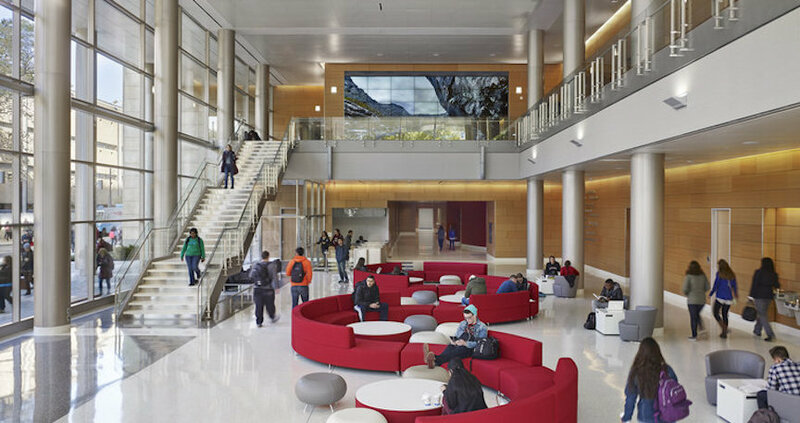 What programs are offered at the Temple University Law School? The Beasley School of Law features a range of academic areas of interest for aspiring lawyers. In addition to course studies, the law program at Temple involves clinics, externships, mock trials, community service opportunities, and study-abroad programs. 6. How much does it cost to attend Temple University? The total cost of attendance at Temple varies by school, by program, and by residency status. $750 to $2,300 per credit hour for all students attending the graduate college part time, although the cost of certain programs will vary based on residency status. Other fees may also apply, such as application fees, university services fees, technology fees, insurance fees, registration fees, and others. Many incoming and continuing students are eligible for financial aid. They need only to complete the "FAFSA" form. Aid may come in the form of grants, loans, scholarships, work study programs, or private donations. Above: Inside the Science Education and Research Center at Temple. 7. What is the Temple University campus like? The main campus of TU spans roughly 115 urban acres in north central Philadelphia, about four miles north of downtown Philly (also known as Center City). The campus features a diverse and convenient collection of food trucks, serving throughout the day. Campus landmarks, attractions, and photo ops include a bronze owl statue, the Paley Library, the 110-foot-tall Bell Tower, the Founders Garden (surrounded by O'Connor Plaza), and quite a few residence halls. A car is not a necessity for this area, as the town is very walkable, and public transportation is abundant. The school colors are cherry and white. 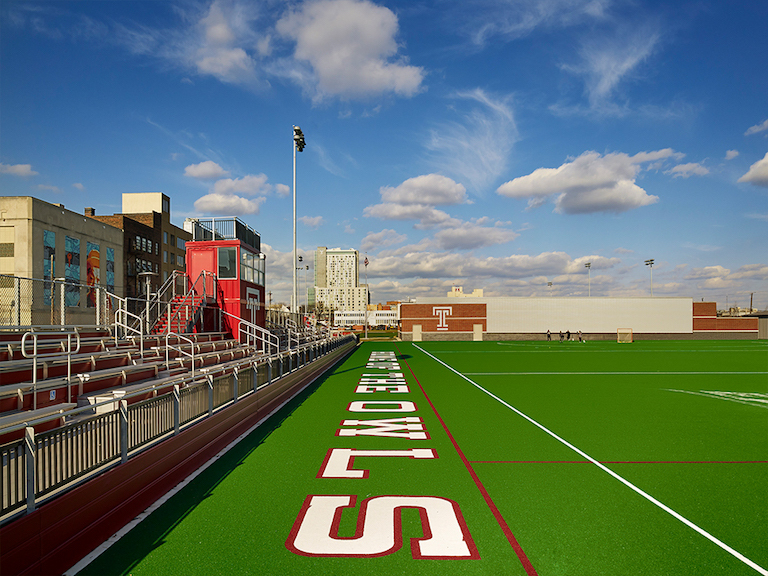 The varsity athletes at Temple are called the Owls. They play for the NCAA Division 1 - The American Philadelphia Big 5. Also offered on campus are numerous club and intramural sports, such as some of the ones listed above, as well as aerobics, badminton, figure skating, and ice hockey, among others. Aside form athletics, Temple also features several hundred student interest groups and organizations, in a broad range of interests. Among the diverse collection of student groups are a Muslim Women Students Association, a choral directors group, an Art History organization, a Bible Club, a Cat Club, a Poetry Collective, and hundreds of others. Away from campus, the city of Philadelphia is electrified with captivating cultural attractions and many fine restaurants. Visit the Philadelphia Doll Museum. Or catch a game at the Liacouras Arena. Or travel south on the commercially vibrant North Broad Street to Chinatown or Center City. 8. What are the distance learning options at Temple University? When it comes to distance learning options, Temple does not fall behind. The school offers distance learning degrees at all levels (Bachelors degree, Masters degree, and professional certificates). 9. What is the contact information for Temple University? To reach the main campus of Temple in Philadelphia, or for general information, call 215-204-7000. 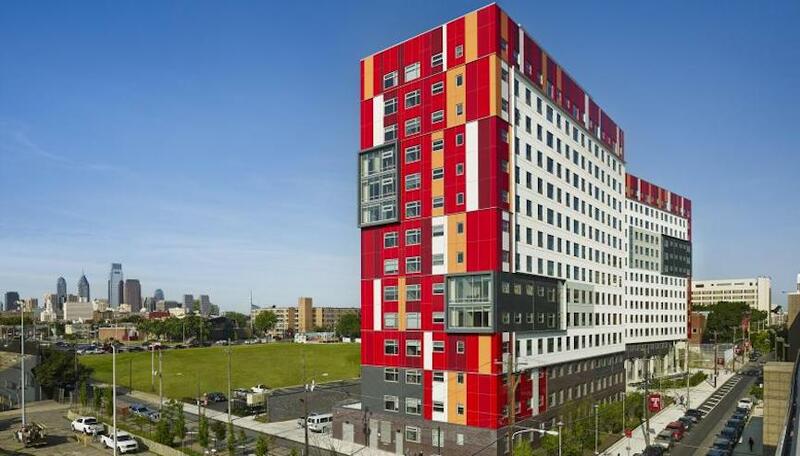 To reach the Center City campus of Temple, call 215-204-8822. To contact the Beasley School of Law, call 215-204-7861. To reach the Lewis Katz School of Medicine, call 215-707-2000. For the School of Podiatry at Temple, call 215-629-0300. To inquire about Distance Learning options at Temple, call 215-204-7701. 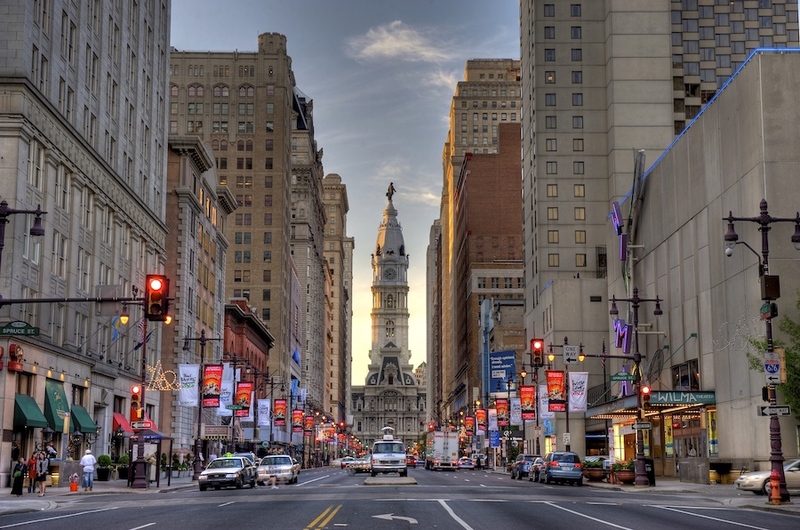 Philadelphia is home to more Tham 1.5 million people.